Klayman Discusses Why Sessions and Rosenstein Must Go and Why He Must Be Named Special Counsel! 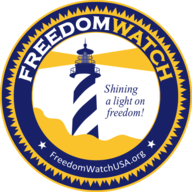 Go to www.FreedomWatchUSA.org to Sign Petitions to Appoint Klayman as Special Counsel and to Remove Sessions and Mueller. Also Donate and Share With Friends!